The first exciting activity in Tanjung Benoa Water Sport is riding banana boat. 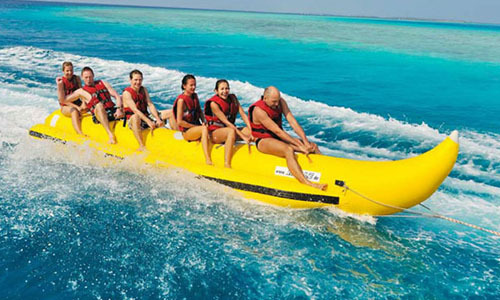 Banana boat is a rubber boat that has shape looked like a banana. This boat will be tied to a speedboat that will drag it around the sea. This activity is one of the most popular Bali water sport activities in Tanjung Benoa. You may do it with your friends and it also feels more exciting rather than do it alone. Nowadays you do not to dive so deep just to see the beauty of underwater view. In Tanjung Benoa, the coral and underwater life that has wonderful view can be seen just by doing snorkeling. You just need to dive about 3 – 5 meters with snorkel equipment to see the beauty of our sea. Of course during snorkeling in Tanjung Benoa, you will be accompanied by local and professional instructor to maintain your safety. If Aladin fromArabic legend is famous for riding flying carpet, everybody can be the Aladin in Bali by riding Fly board. You will fly on the sea water by riding the fly board that sprouting the water from your feet. You may fly up to 10 meters high above the water level. This relatively new game allows you to do some trick or attraction on the wave. Some skill in controlling your body balance is highly required to do this activity. Flying on the top of Tanjung Benoa Beach sounds very cool. We are flying with colorful parachute like a butterfly. You will feel your adrenaline rush when the speed boat drag you and the parachute to fly around the Tanjung Benoa water sport area. Feel the sea breeze and enjoy the view of Nusa Dua area from the sky. 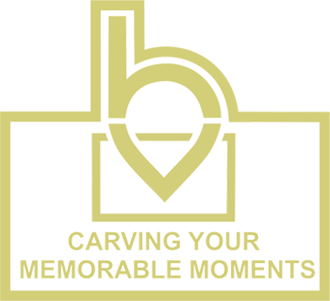 It will be unforgettable moment during your Bali vacation tour. Your courage will be tested during this activity but every tools and safety equipment is well prepared so you may sit back and relax. Tanjung Benoa Water Sport offers sea walker activity for those people who cannot swim or dive at all but wanted to see and enjoy the beauty of underwater sea. With high qualities of safety equipment and tools, you do not need to worry to dive under the water. You also do not need to worry about special diving or breathing technique for this activity. A special helmet like astronaut helmet is prepared for you to breathing normally like on the land. You just need to walk down the stairs straight to the bottom and enjoy the beauty of underwater sea at Tanjung Benoa. © 2017 BAGUS TOUR SERVICE. All Rights Reserved.